Why $30? First, it’s a reasonable amount to spend on a great bottle of wine. Second, it opens the options a bit for a list such as this. Already, we see a number of choices here from producers such as Precept Wine in Seattle and Ste. Michelle Wine Estates in Woodinville. If I were to lower the budget to, say, $20 a bottle, my list of producers would be considerably less diverse (see complaint No. 2). Face it; that wouldn’t be as much fun. • Buy in bulk. Wineries and merchants often offer discounts for buying a case at a time. • Look for end-of-vintage sales. When a winery wants to release a new vintage, it sometimes discounts the few cases left of a previous vintage. • Join the wine club. It commits you to a few bottles per quarter, but also earns you discounts on wines, tasting fees and events — plus the occasional club-only release of a unique wine. If you are a fan, it’s well worth it. 1. Saviah Cellars 2015 The Jack syrah, Columbia Valley, $18: From Rich Funk, maybe the best winemaker in Walla Walla, this would be a stunning red even if it were twice the price. 2. 14 Hands Winery NV brut, Columbia Valley, $15: This might be the best bubbly on the market. Buy by the case for the holidays. 3. L’Ecole No. 41 2015 Old Vines chenin blanc, Columbia Valley, $15: This should convince you to give Washington chenin another look. 4. Nine Hats Wines 2016 riesling, Columbia Valley, $14: From the Poet’s Leap team at storied Long Shadows, this is one of the best rieslings in the Northwest. 5. Canoe Ridge Vineyard 2014 The Expedition merlot, Horse Heaven Hills, $15: This longtime Walla Walla producer traditionally crafts one of the straight-up best merlots around. 6. Gehringer Brothers Estate Winery 2016 auxerrois, Golden Mile Bench, $14: You’ll have to cross mountains and international borders for this, but it’s worth the trip to Canada. 7. Walla Walla Vintners 2014 merlot, Walla Walla Valley, $30: Here’s a wine that pushes the list’s price limit, but it’s always one of the best in the state. 8. San Juan Vineyards 2016 siegerrebe, Puget Sound, $22: Using grapes from Friday Harbor, this is one of the most delicious finds in Washington wine country. 9. Grantwood Winery 2015 syrah, Walla Walla Valley, $18: A small producer in Walla Walla makes some of the valley’s best and most affordable reds. 10. Maryhill Winery 2016 rosé of Sangiovese, Columbia Valley, $16: Best of Show at the Washington State Wine Competition, this dry pink is perfect for Thanksgiving. 11. Ross Andrew Winery 2015 Glaze cabernet sauvignon, Columbia Valley, $15: A remarkable red from a Woodinville winery that would taste great at twice the price. 12. Jones of Washington 2015 riesling, Ancient Lakes of Columbia Valley, $10: One of the greatest Washington rieslings from winemaker Victor Palencia. This winery has tasting rooms in Wenatchee and Quincy. 13. 14 Hands Winery 2014 merlot, Columbia Valley, $15: The state’s second-largest winery makes some of our best and most-affordable reds. 14. Charles Smith 2014 Boom Boom syrah, Columbia Valley, $13: Smith has moved his production to Seattle and sold off one of his labels, but he isn’t slowing down one bit when it comes to making some of the best affordable wine in the state. 15. Côte Bonneville 2016 DuBrul Vineyard riesling, Yakima Valley, $22: Superb riesling from a top Yakima Valley producer. Tasting room in Sunnyside. 16. Airfield Estates 2015 moscato, Yakima Valley, $15: Here is a light, floral, off-dry sipper that is a perfect wine for a picnic or Sunday brunch, or around a beach fire. 17. Lone Birch 2014 syrah, Yakima Valley, $13: The value label for Airfield Estates in Prosser means you get a whole lot of wine for not a lot of dough. This is a big, jammy, drink-now-and-often red. 18. Mercer Estates 2016 Spice Cabinet Vineyard rosé, Horse Heaven Hills, $13: Using grapes from one of the great vineyards in the state, this dry pink wine is a great example of what can be accomplished with this style. 19. Ryan Patrick Wines 2015 Redhead Red, Columbia Valley, $15: A cab-driven blend that annually is among the best wines out of north-central Washington, this is a smooth, easy-drinking red. 20. Chateau Ste. Michelle 2015 Harvest Select Sweet riesling, Columbia Valley, $9: Unabashedly off-dry, yet with the acidity to hold up all the fruit, this is quite possibly the perfect wine for Indian cuisine or a steaming bowl of pho. 21. Milbrandt Vineyards 2015 Evergreen Vineyard Traditions Sweet Katherine White Wine, Ancient Lakes of Columbia Valley, $13: From the top riesling vineyard in the state comes this sweet (4 percent residual sugar) wine. 22. Acrobat 2015 pinot gris, Oregon, $13: This second label from King Estate shows why Oregon pinot gris is so good. 23. Sagelands Vineyard 2014 cabernet sauvignon, Columbia Valley, $10: This value label owned by Precept routinely offers stunning wines at remarkable prices. 24. Waterbrook Winery 2015 pinot gris, Columbia Valley, $13: This longtime Walla Walla winery released yet another delicious, seafood-worthy pinot gris. 25. Columbia Winery 2014 cabernet sauvignon, Columbia Valley, $14: This Gallo-owned winery in Woodinville is turning out delicious, value-priced reds. 26. Mercer Canyons 2014 chardonnay, Columbia Valley, $11: The Mercer family (with a tasting room inside KeyArena) has quietly grown this winery into one of the state’s largest. This is its value label, which offers reliably good buys. 27. Diversion Wine 2014 cabernet sauvignon, Washington, $15: This Seattle-based winery annually produces the best bargains around. 28. Washington Hills 2014 chardonnay, Washington, $9: Another label owned by Precept, this longtime producer has always been reliable and affordable. 29. Sawtooth Estate Winery 2014 chardonnay, Snake River Valley, $12: Among the largest wineries in Idaho, Sawtooth is owned by Precept. Exceptional fruit combined with great winemaking by Meredith Smith equals a great wine at a great price. 30. Saviah Cellars 2014 cabernet sauvignon, Walla Walla Valley, $30: A cab that pushes up against our price limit, but this is one of the superb reds out of Walla Walla this year. 31. Drumheller 2015 cabernet sauvignon, Columbia Valley, $12: A restaurant-only brand from Ste. Michelle that is crazy delicious at an affordable price. 32. Chateau Ste. Michelle & Dr. Loosen 2015 Eroica riesling, Columbia Valley, $20: One of the great rieslings in the world is made in Woodinville and is a bargain next to German imports. 33. Plumb Cellars 2013 estate syrah, Walla Walla Valley, $26: A small Walla Walla winery has the valley’s signature grape at an affordable price. 34. Yakima Valley Vintners 2014 Kiona Vineyard lemberger, Red Mountain, $14: This wine crafted by the students and staff at Yakima Valley Community College is a delicious and affordable red. 35. Coiled Wines 2015 sparkling rizza, Snake River Valley, $28: Based near Boise, Leslie Preston makes one of the most intriguing sparkling wines in the Northwest. 36. Harbinger Winery 2011 Elephant Mountain Sangiovese, Rattlesnake Hills, $30: This small producer west of Port Angeles uses grapes from a top vineyard near Yakima to craft a delicious yet affordable red. 37. Abiqua Wind Vineyard 2015 Chloe’s Breeze müller-thurgau, Willamette Valley, $12: Grower/winemaker Pete Buffington, west of Salem, is crafting affordable Oregon wines. 38. Barnard Griffin 2014 merlot, Columbia Valley, $17: All of Rob Griffin’s wines are generally underpriced for the quality, and this merlot ranks among the state’s elite. 39. Cinder Wines 2014 tempranillo, Snake River Valley, $29: Melanie Krause, a proud WSU grad, has earned a reputation for making some of the best tempranillo in the Northwest. 40. Mt. Hood Winery 2016 Estate dry riesling, Columbia Gorge, $22: Hands-down, one of the best rieslings anywhere, so this is a great bargain. 41. Westport Winery Garden Resort 2014 Surfer syrah, Horse Heaven Hills, $28: This coastal winery brings in grapes from top Columbia Valley vineyards. The results are luscious. 42. Duck Pond Cellars 2015 pinot gris, Willamette Valley, $14: One of Oregon’s first families of winemaking (and Washington, too) produces a pinot gris that is one of the best in the region. 43. Longship Cellars 2014 Ginger Man syrah, Walla Walla Valley, $30: Richland winemaker Kyle Welch is quickly gaining fans with his fairly priced reds. 44. Tightrope Winery 2016 pinot gris, Naramata Bench, $21: One of the top B.C. wineries is showing why pinot gris is better in the Okanagan. 45. Browne Family Vineyards 2016 Grenache rosé, Columbia Valley, $19: The best rosé in Walla Walla is from one of its oldest wineries. 46. Eternal Wines 2016 Eternal Perspective grenache blanc, Columbia Valley, $30: This young Walla Walla winery crafts a delicious and rare grenache blanc. 47. Thurston Wolfe 2014 Lonesome Spring Ranch touriga nacional, Yakima Valley, $20: Wade Wolfe continues his remarkable work with this traditional Portuguese variety. It is worth exploring. 48. 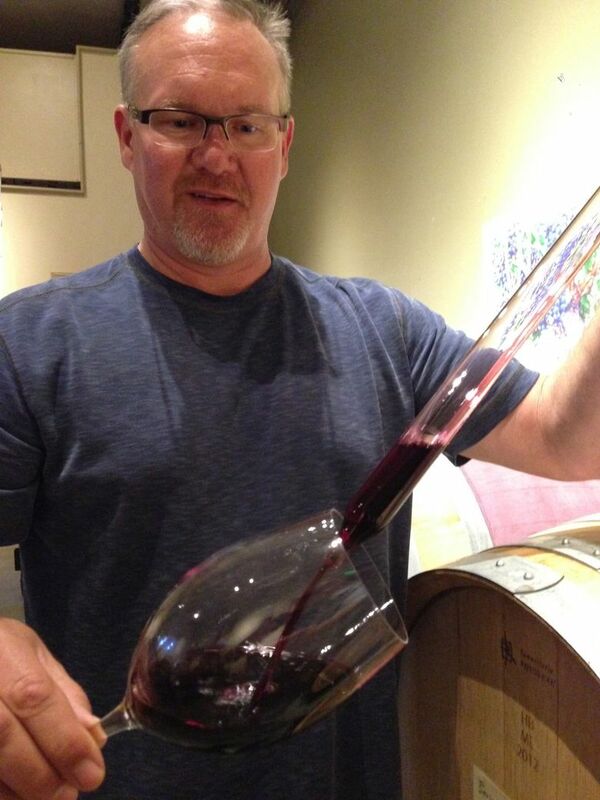 Nodland Cellars 2013 Avant Garde carménère, Walla Walla Valley, $27: Spokane attorney/winemaker Tim Nodland makes one of the best versions of this rare Bordeaux variety in Washington. 49. Reustle-Prayer Rock Vineyards 2016 Estate Cuvée sauvignon blanc, Umpqua Valley, $23: Southern Oregon winemaker Steve Reustle is talented, and this wine will be a beautiful introduction. 50. Wild Goose Vineyards 2016 Gewürztraminer, Okanagan Valley, $17: There is nothing quite like this wine this side of Alsace. It’s worth the hassle of an international border to acquire.